Kennedy Catholic is one of only two schools in Mercer County that compete in both the BEST and Robobot competitions each year. Our students love the excitement of robotics competitions. They contain the excitement of a basketball game, the strategy of a chess match, the intellectual challenge of a science fair, and the pressure of a competitive sporting event plus hundreds of cheering fans, pep bands, cheerleaders, music, dancing and mascots. 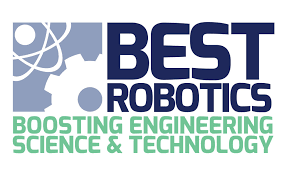 Each year, the Kennedy Catholic Robotics team competes in the Boosting Engineering, Science and Technology (BEST) competition. Every team starts with a bin of raw materials such as wood, PVC, aluminum, a set of motors and programming hardware. It is up to the team to design and shape the robot to complete the desired tasks and solve the problem. The problem of the competition changes each year so that each of the participants must continually refine their skills to solve the particular problem. The competition takes place every September and lasts for six weeks. The Robobot competition is a battle contest and develops another skillset within our students that is separate from the BEST competition. These robots primarily consist of metal and are built from scratch using funds raised throughout the year. Students must plan everything in the design process to make sure all of the components of the robot work well together such as the frame, drive motors, weapon motors, speed controllers, receiver, controller, wheels, and batteries. It truly develops the engineering design process that is so crucial for any good engineer. 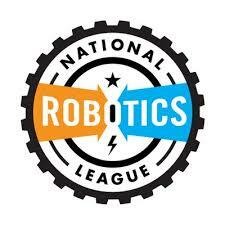 The Robobot competition is sponsored by the National Robotics League and takes place every April in Meadville, PA.